If it weren't for two other particularly strong entries, Gifuu Doudou!! 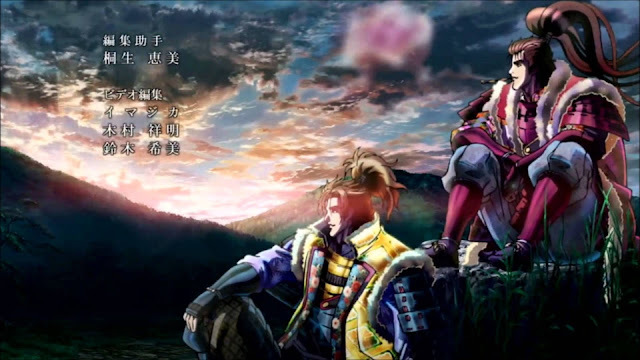 : Kanetsugu to Keiji—the double exclamation marks say it all, really—would probably be a strong contender for the most righteous show of the summer 2013 anime season. Gifuu Doudou!! 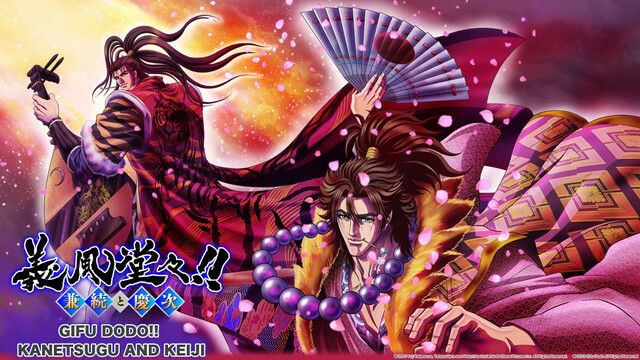 's premise is simple: Naoe Kanetsugu and Maeda Keiji, two ridiculously large and powerful "legitimate eccentrics," recount their exploits dispensing their brand of "RIGHTEOUSNESS" all over Sengoku-era Japan. 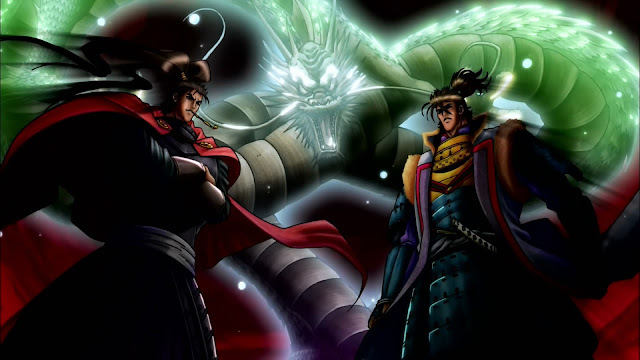 It has the right attitude to make this sort of narrative funny and fun, clearly not taking itself very seriously with things like an over the top opening (entirely composed of recycled footage of course) named "SAMURAI ROCK" with lines like "come on come on come come on SAMURAI BABY" in English and heavily, heavily caricatured depictions of most of its characters. When watched with friends this can all make for a very righteous (and enjoyable) experience. Still, it remains a great anime, its flaws being largely made up for by its exaggerated, uplifting, masculine charm. Feel like a change from screaming, teenaged protagonists, moe and hyperactiveness? Kick back and watch Gifu Dodo.It's a well-written, stylish show with great art and a strong plot. This deserves a second season.